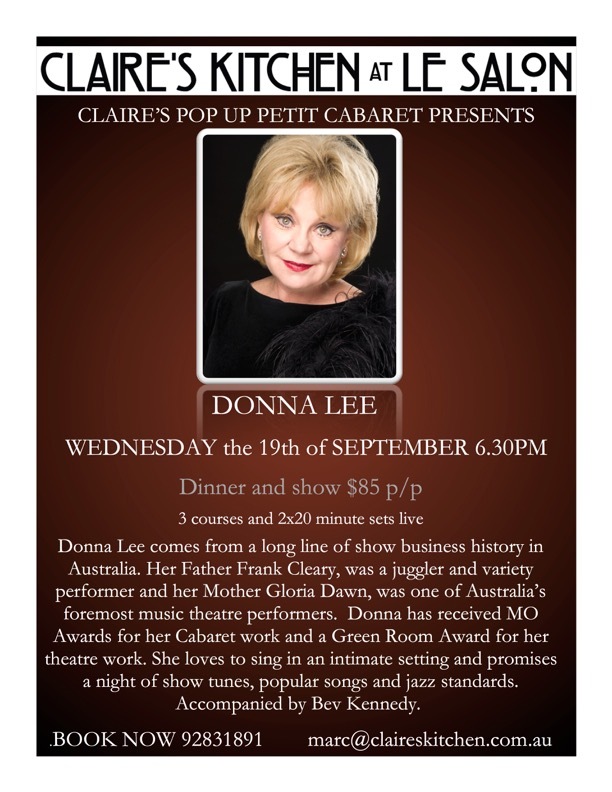 Donna's Tribute to Doris Day has been playing to packed houses all around Australia. At the Roxy Cinema Donna sings the delightful Doris Day songs with Bev Kennedy on Piano and after a short intermission will be followed by one of Doris' famous movies PILLOW TALK with one of her most famous co-stars Rock Hudson. What a Delightful (Doris) Day it should be.